As another season of landscaping comes to an end I wanted to personally thank you and your team for yet another great year of work and service to our home and lawn. As you know we are in a newer development and everyone that comes over or walks by constantly compliments us on our landscape design and how perfect our lawn always looks. We recently added new LED lights and now your work can be shared in the evening which compliments all of your hard work. Thanks again!" Thanks so much for a job that went beyond well done this summer! 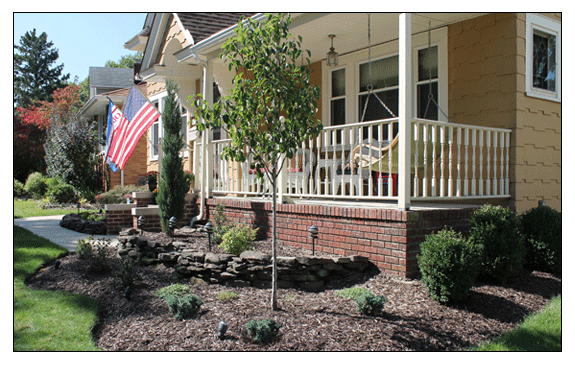 After attempting to tackle our front landscape on our own once before, we knew the second time around would be much better served using professionals. And we couldn't be happier in choosing Clutch. Everything from your professionalism and creativity in planning, to the polite and courteous execution by your staff, went well above our expectations! And while it's the design that shines when all is said and done (and believe me, it does! ), it was your staff that impressed us most. Not only did they pay attention to detail, communicate with us through the process and clean up well, they offered to package and deliver left over plants to our neighbor who planned on using them. Your impressive work and that type of courtesy puts Clutch many steps ahead of its competition. We're glad to refer you to anyone we know looking for landscaping services. Continue the fine work that you do and all the best to you in the future!" "On behalf of my wife, Mary Ann, & I, we would like to thank the Clutch Landscaping company, for the outstanding job that your 'super crew' did on our yard, Monday, June 17th. They were very professional, neat, and did a great job of making our yard look like a finely manicured property. On top of that, they are a fine group of young men who went out of their way to satisfy all of my wishes. Being known as "yardman" by my daughters, I am very particular about maintaining my property and showcasing its appearance. Having Clutch Landscaping assist me in this endeavor really puts the finishing touches on our yard, and makes it, in my humble opinion, one of the best looking properties in our community. Thanks again Clutch Landscaping for the great job!" "Clutch & Staff - Thanks for the many years of great service. We enjoyed contracting with you. You always worked with us to be sure we were satisfied. If we have a need in the future, you will be our choice for landscape, yard, and snow work. "In the Fall of 2011, Clutch designed and installed the landscaping at my residence in Brooklyn Heights. Their services included recommending, coordinating, and working with the sub-contractors who performed the stamped concrete patio and the sprinkler system renovations. Overall, Paul, Aaron and their team were accessible and easy to work with on this project. They offered intelligent design concepts and were also flexible and open to my ideas and suggestions. They performed the work on time and on budget. There were no surprise issues, and the execution of the installation was seamless. If you would like to refer a potential client to a satisfied customer, please call anytime. 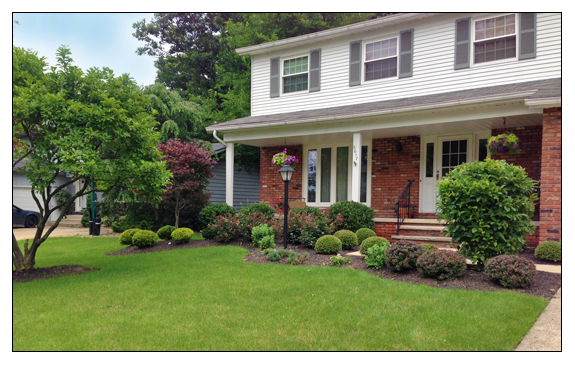 "We had our front yard landscaped by Clutch and I can't begin to express how pleased I am with the job they did. The design Aaron came up with was outstanding. Wonderful people to work with. Thank you so much for your beautiful work."